The Office of the Governor’s Fallen Hero Reward Texas Remembers program has announced a cash reward of up to $15,000 for information leading to the identification and arrest of the person or persons responsible for the murder of Detective Benjamin Marconi. Detective Marconi was murdered on duty during a traffic stop in San Antonio on Sunday. This reward will be combined with the San Antonio Crime Stoppers initial offering of $10,000, bringing the total cash award amount to $25,000. The Fallen Hero Reward Texas Remembers program is funded by the Governor’s Criminal Justice Division and administered by the Texas Department of Public Safety. San Antonio Crime Stoppers includes a variety of community representatives and provides a method for local law enforcement to receive information on crimes. All tips are guaranteed to be anonymous. 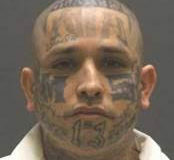 Calling the San Antonio Crime Stoppers hotline at 210-224-STOP (7867). Calling the Texas Crime Stoppers hotline at 1-800-252-TIPS (8477). Texting the letters “DPS” followed by your tip to 274637 (CRIMES) from your cell phone. Submitting a tip online here.